When I talk about Mind Mapping, many say that they know about it, yet they don’t use it - even though they know all the benefits. Changing habits is hard. You really have to apply yourself. Success in anything takes time and effort. 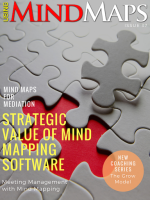 I am committed to bringing you interesting theory, applications and ideas to help you become a better Mind Mapper, but you have to apply the methods. Simply reading about it is not enough. 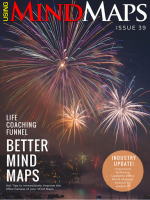 Like any enthusiast of a subject, getting hold of lots of different material and methods, as well as following various experts, will keep the enthusiasm alive and make you a better Mind Mapper. Consistent application over time will guarantee success. 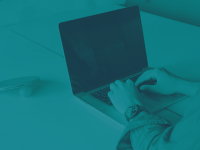 This month, we’ve included a few personal case studies to inspire you. I hope that they will inspire you to take your Mind Mapping to the next level and also share your ideas and methods with others. 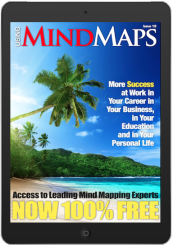 By sharing, you will become even better and help build a strong and better Mind Mapping Community. 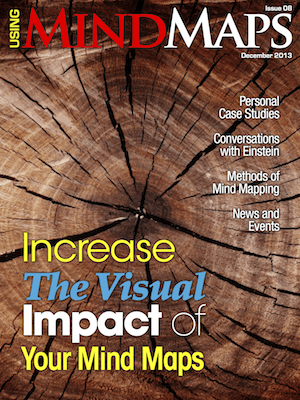 “…Images add visual interest to your mind maps. They can be utilized as the central topic of your map, or attached to other topics, and add a wealth of meaning and context to your maps. ‘…Both modes have their place, but let’s talk about the benefits of each and when one might be a better option than the other. Subscribe and Get 50% off the Cover Price!